iBoysoft File Protector 2.0 was available as a giveaway on February 3, 2019! it says giveaway expired. This is dishonest! There are still 15 minutes before giveaway is over. When i go on the website https://iboysoft.com/giveaway/ it says giveaway expired. This is dishonest! azhar, If you read the comments of the others day's, that this was offered, then you won't be so sorry. If you protect some files/maps with this software and you restart the computer with another OS, like Linux or a live Win-CD, all the protection is lost. All files are readable and edited. azhar, If you read the comments of the others day's, that this was offered, then you won't be so sorry. If you protect some files/maps with this software and you restart the computer with another OS, like Linux or a live Win-CD, all the protection is lost. All files are readable and edited. They use the word encrypt when they DO NOT ENCRYPT anything! "Enable you to encrypt data in three methods: Deny delete access, Deny read access and Deny write access. Simply choose any or all of them according to actual needs, you can restrict others' access to your protected files and folders in different ways." The truth is they add an artificial filter the the installable file system chain that selectively filters out or reveals the files or folders chosen based upon the access control methods chosen. It is similar to old rootkit technology used to conceal protected OEM protected backup folders or malware packages from old fashoined security software. It can be simply defeated by rebooting in safe mode or booting from a winpe boot image or a linux or other LiveCD / LiveDVD or even... just by uninstalling the program and its drivers service. Possibly even disabling the service if it is exposed within device manager or service manager! I can't be bothered to test that last hypothetical method to defeat the protection as it is just feel good protection software... any ransomware of any worth will parse the filesystem itself directly and not blindly believe what the installed file system driver chain reports. As has been said this same software and version has been offered here before on multiple occasions so has been pretty much exposed as practically worthless for protection of sensative or valuable files contents AND no threat to the data files as it does not change the files in any way and uninstalling after its expired brings the files back. They use the word encrypt when they DO NOT ENCRYPT anything! "Enable you to encrypt data in three methods: Deny delete access, Deny read access and Deny write access. 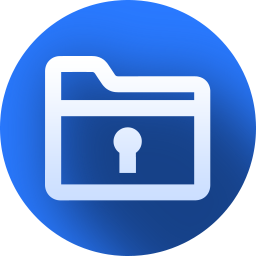 Simply choose any or all of them according to actual needs, you can restrict others' access to your protected files and folders in different ways." The truth is they add an artificial filter the the installable file system chain that selectively filters out or reveals the files or folders chosen based upon the access control methods chosen. It is similar to old rootkit technology used to conceal protected OEM protected backup folders or malware packages from old fashoined security software. It can be simply defeated by rebooting in safe mode or booting from a winpe boot image or a linux or other LiveCD / LiveDVD or even... just by uninstalling the program and its drivers service. Possibly even disabling the service if it is exposed within device manager or service manager! I can't be bothered to test that last hypothetical method to defeat the protection as it is just feel good protection software... any ransomware of any worth will parse the filesystem itself directly and not blindly believe what the installed file system driver chain reports. As has been said this same software and version has been offered here before on multiple occasions so has been pretty much exposed as practically worthless for protection of sensative or valuable files contents AND no threat to the data files as it does not change the files in any way and uninstalling after its expired brings the files back. Then the Program start through and You can give in the Registration Key. This is a 1 year license, so after the one year, no one is sure of what will happen. As I have said before, there is a much better way to do this if you have Windows 10, and it's basically built in. As I am not sure if I am allowed to share links, just search "password protect folders" on Google and it should come up first result. For more help, the video by Britec09 may help you aswell. CN, I agree with your suggestion. I've been using SafeHouse for years. What I like about it most is being able to password protect an entire USB drive as well nothing is stored in the cloud. There is NO backdoor recovery option so it's a must to remember your password. It is not a free program. It is given away for you to try for a year. If you like it you buy it and then you won't have to complain about it locking your files because the 1 year licence ran out. Alan, It is not a free program. It is given away for you to try for a year. If you like it you buy it and then you won't have to complain about it locking your files because the 1 year licence ran out. It says it at the Windows when you First want to Enter the Registration Key. Then it says Invalid and shows the Standard Key. After using that Standard Key, you can Register. jayant, It says it at the Windows when you First want to Enter the Registration Key. Then it says Invalid and shows the Standard Key. After using that Standard Key, you can Register. 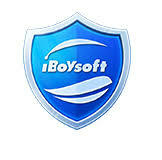 When launching iBoysoft File Protector at the first time, you need to enter the default password: 123456.